I Made a World! Announcing Cello Yoga's "Ebb & Flow"
Ebb & Flow is a 90-minute exploration of water's movement, 8 tracks of delicious cello-ness matching the rise and fall of a yoga class. For the past couple years, I've been playing cello and composing live in yoga classes. It's been such an enriching experience for me. I learn something about music, something about bodies, and something about their connection to each other at every class. I've had so many requests for an album of this music. I've finally conceded. Read more about Live Cello Yoga here. I hesitated at first, because the songs I compose in a class have so much more meaning (to me and attendees) when they are only meant for that specific moment and when that particular class will be the only ears to hear the songs. The songs I write in class In recording a Cello Yoga album I didn't want to 'can' something that is best experienced fresh. But then I got over it. 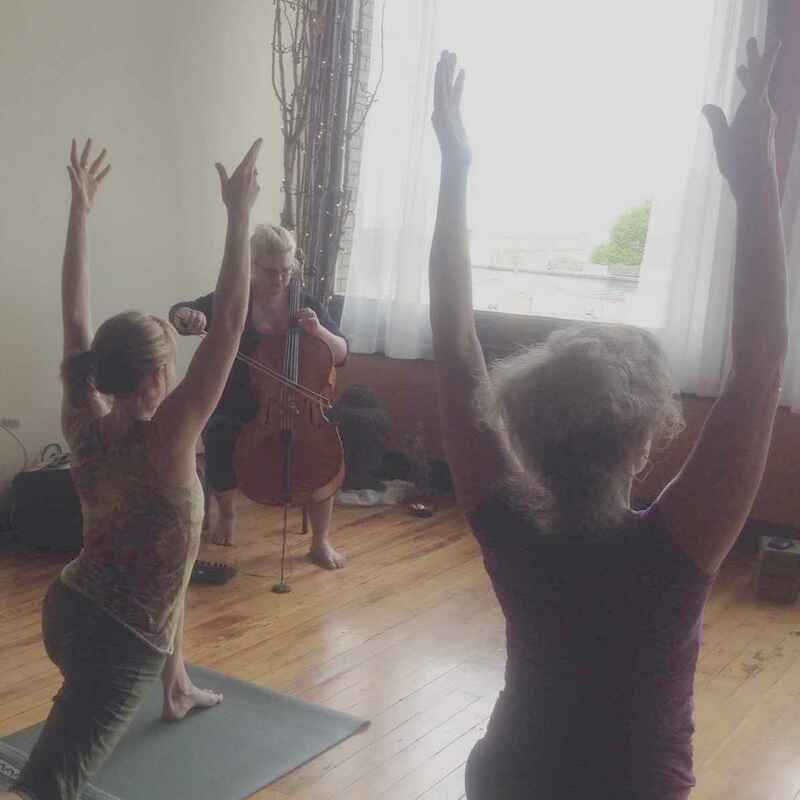 There are too many obvious reasons why I should offer Cello Yoga to more than just those in the classes. Mainly, "Don't be so selfish, Emily." Unlike the classes I play cello for, "Ebb & Flow" is not inspired by the body movements I see while composing. Instead, it is inspired by the sonic exploration of water's momentum.